Apple rose like a phoenix. But how? 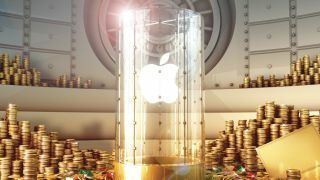 Apple's value hit $619 billion (£389 billion) in April, making it the world's most valuable company - and some experts suggest that it could be worth an incredible $1 trillion by this time next year as it expands into China. It's an extraordinary amount of money, especially for a firm that many people dismissed as a basket case in the early 90s. So what's Apple's secret? Design has been in Apple's DNA since 1977's Apple II, whose case was inspired by the food processors and coffee makers Steve Jobs saw in a Macy's department store. Jobs tried (and failed) to persuade Steve Wozniak that customers only needed expansion slots for a printer and modem, but he did play a key role in designing the case to make it as friendly as possible. That friendliness and simplicity has been key to Apple products ever since, from the Lisa and Macintosh of the 80s to the iMac of the 90s and the OS X and iOS devices of today. For Apple, design isn't something you bring in to make things look pretty - it's part of the process from day one. "In most people's vocabularies," Steve Jobs told Fortune in 2000, "design means veneer. It's interior decorating. It's the fabric of the curtains and the sofa." Jobs, and Apple, didn't think that way: describing the iMac, he said that "the essence of the iMac is to be the finest possible consumer computer in which each element plays together." If that means asking your engineers to make the impossible possible, so be it. "I was adamant that we get rid of the fan, because it is much more pleasant to work on a computer that doesn't drone all the time," Jobs said. "It required a huge engineering effort to figure out how to manage power better and to do a better job of thermal conduction through the machine. That is the furthest thing from veneer. This is what customers pay us for: to sweat all these details so it's really easy and pleasant for them to use our computers." That philosophy applies to the entire Apple experience. It's why Apple offers a handful of products in each category instead of dozens of barely differentiated ones, it's why even the cheapest bit of Apple kit is packaged so beautifully, and it's why Apple often prototypes new products but decides not to ship them. Other firms want to be all things to all people. Apple wants to be insanely great. To become as big as Apple you need an astonishing manufacturing operation, peerless marketing, the ability to see into the future and floundering rivals. Apple has all of those things now, but it didn't in the 90s. In 1997, Wired magazine famously put the Apple logo on its front cover with a simple one-word headline: "Pray." Apple's biggest problem in the 1990s was Windows, which became the dominant personal computing platform. Apple, who had given Steve Jobs the boot back in 1985, responded to the threat by making lots of barely differentiated products that it hoped would compete with the Windows juggernaut. It didn't work, and Apple ended up with stacks of Macs people didn't want and huge waiting lists for the ones people did. TIME magazine went so far as to describe the Apple of the time as "arguably one of the worst-managed companies in the industry." Apple Incorporated was bleeding money, and in 1997 its share price hit a 12-year low: while today Apple is worth more than Microsoft and Google combined, in Q2 1997 it was worth just $2.17 billion. Microsoft, meanwhile, was worth $141 billion.